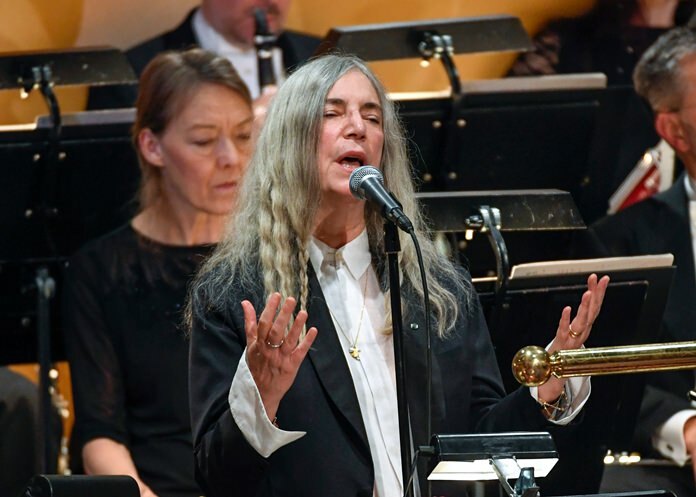 The singer-songwriter explains that she had chosen one of her own songs when she was invited in September to perform at the Nobel ceremony in honor of the eventual literature laureate. But when Dylan was announced as the recipient, she chose one of her longtime favorites from his catalog. Smith suddenly stopped singing during her performance at Stockholm’s Concert Hall on Dec. 10 and asked the orchestra to begin again. “I apologize. I’m sorry, I’m so nervous,” Smith said at the time.